...A long walk from the railway station in hot sunny weather, about an hour before I reach the old part of town. I find a good town map at the bus station with both old synagogues, and numerous other notable buildings, marked clearly. 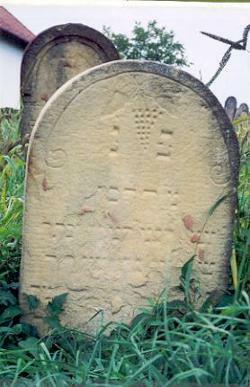 Jews, many of them from Germany, were encouraged to settle and trade in Bonyhád by the Perczel family in the 1700s. 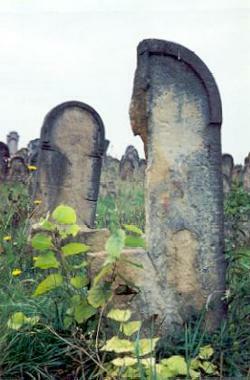 The Perczels, prominent in the area, gave the community their protection. 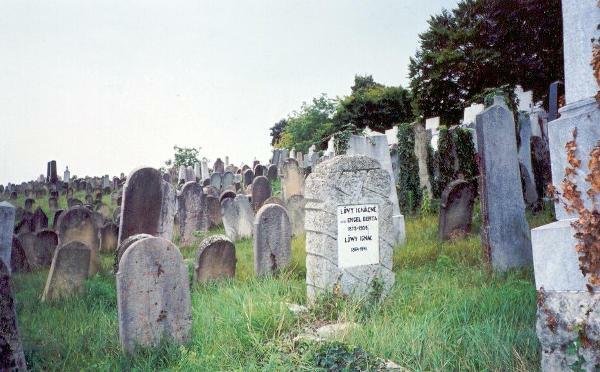 By the 1850s the community numbered over 1500, and prior to WW2 it was still some 15% of the entire population. 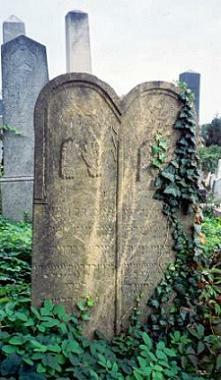 Firstly I find the Orthodox synagogue, in a little side street off Rakoczi utca, with a large lawn in front. 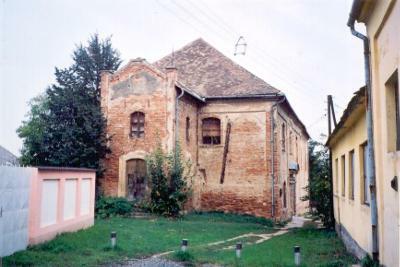 It was built in 1924 and is now used as a warehouse, with no Jewish features remaining. 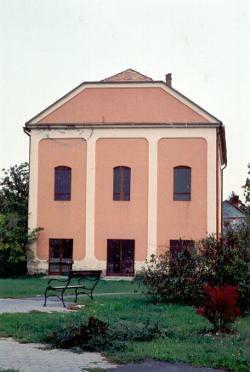 A stark pink building, a shadow of its former self, but easily identified from some before and after pictures I’ve brought with me. On the other side of Rakoczi utca, and across what was once the old Jewish quarter on Martirok tere [Martyrs’ Square], the older Neologue synagogue, standing forlornly, facing the backs of other buildings and an empty, dead space. 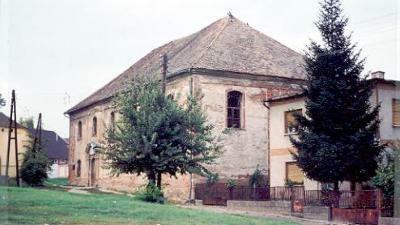 It’s also used as a warehouse and was built in 1795. 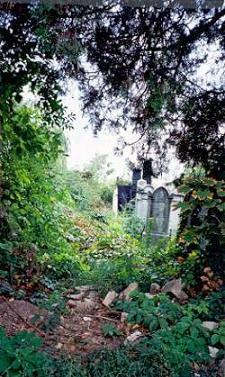 It took the place of an earlier schul which was destroyed in a fire, along with the Jewish quarter. 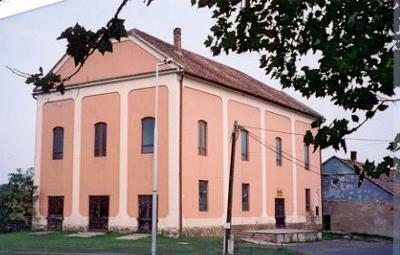 The Neologue schul is one of the few synagogues in Hungary to feature a Polish-style four pillared central bimah. 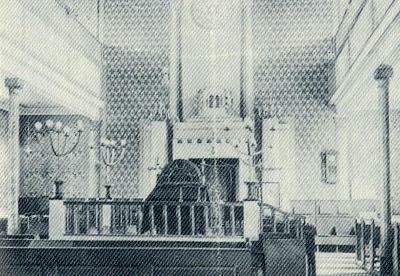 According to my guidebook, both the bimah and the Aron ha Kodesh remain, along with some faded remnants of frescoes on the vaulted ceiling. The exterior is heart-rending sight, the surface of the brickwork broken, in some places the mortar missing, in other places, entire bricks absent. 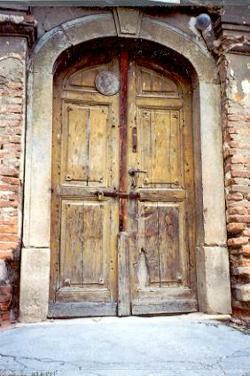 The wood of the padlocked side doors is bare and split, gaps worn in the stone steps, where busy footsteps were once more substance than echo. The front entrance, once topped by turrets on each side, is now half obscured by shrubs, the steps overgrown with wild plants. 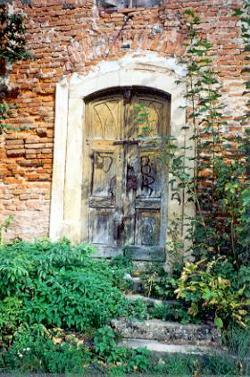 Despite this, the decaying doors retain a trace of decoration. 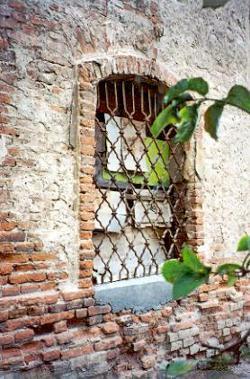 Some of the windows are shielded from the modern world by delicately woven metal gratings, their leading broken, and glass missing in places. 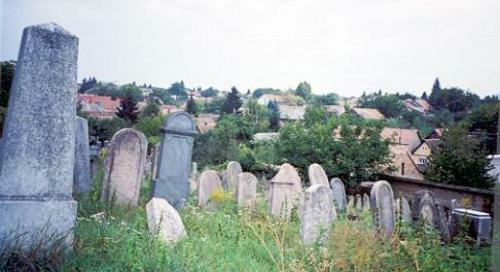 The Jewish cemetery lies adjacent to the Christian one, overlooking a valley towards housing on the hill opposite. I can’t find the entrance my guidebook describes, so enter through the Christian cemetery and climb down and over the little wall which separates them. 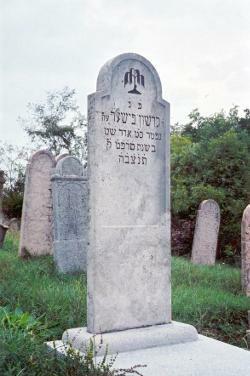 Many of the stones are in light pink marble with stark black lettering, many with a weeping willow tree motif. 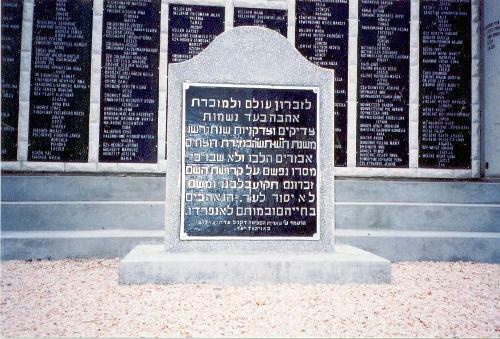 There is also a large Holocaust memorial which names those who died. 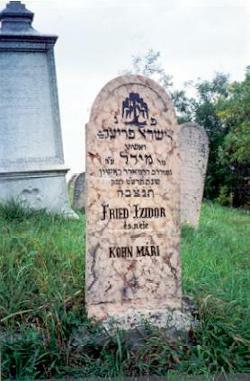 One of the last trains to Auschwitz, in July 1944, contained the 1200 Jews of Bonyhád. 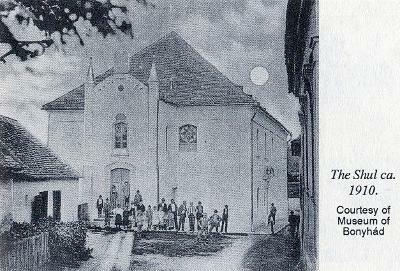 170 townspeople, including surviving members of the Bonyhád Labour Brigades, made their painful return after the war. 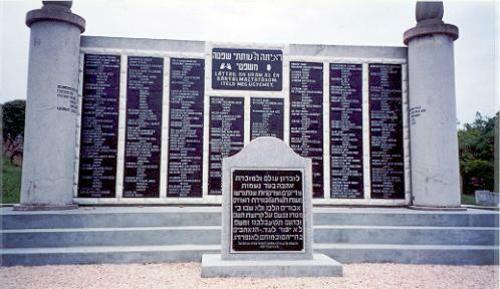 However, the vast majority of these left Hungary in the revolution of 1956, mostly going to the United States and Israel, but also to a scattering of other localities.